Hi All, Another scrapbook page for you:) This one is on Authentique Paper also, and I used more scraps on my desk. I embossed the two corner embellishments with Bonfire EP. The paw prints and the Kitty Hunt are embossing with Log Cabin. A bit of distressing and buttons with ribbon and toile. Her name came from letters cut out of a book and glued down. All supplies from Sparkle N Sprinkle. 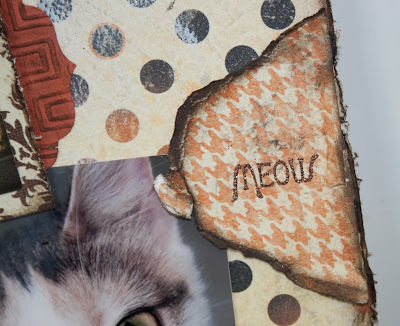 Love the kitty scrap-page. 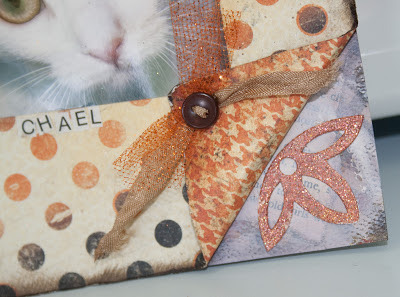 Love the colors you used and those turned up corners are cool too! Both of your layouts are amazing looking! Love how you used scraps and all the textures and dimension. 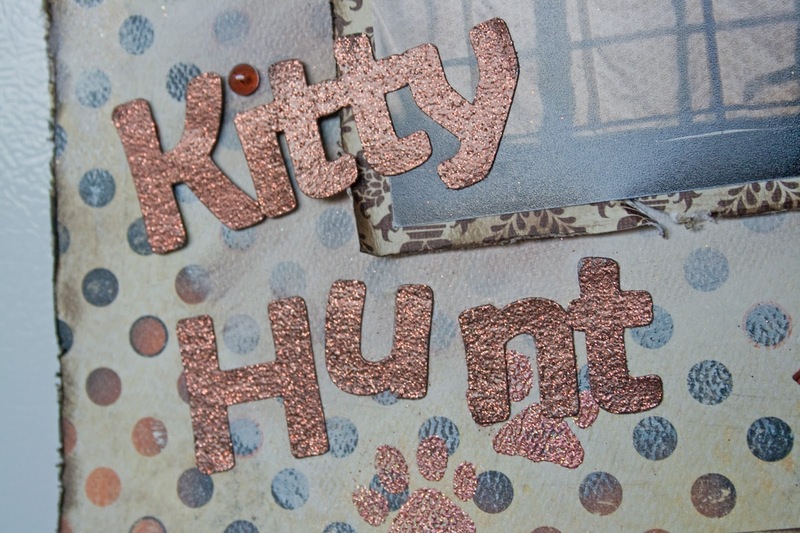 Love the peek-a-boo areas on the kitty hunt page too. Great SB pages, Jill - love all the special details and EP you have used. 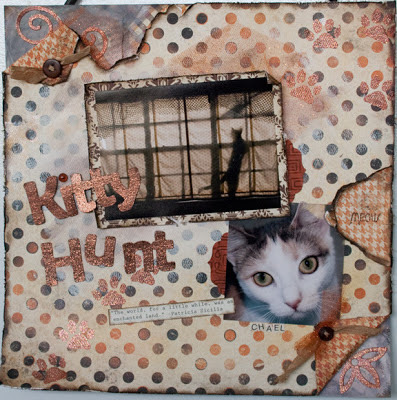 Cute kitty page! Love your background paper with this & the bold title in Log Cabin EP looks great with it!! Great page. Love how you tore the paper and did the corners.